China is now confronted with severe problems associated with harmful algal blooms (HABs). An increasing number of HAB events have been recorded during the last two decades in the coastal waters of China. Many large-scale HABs, such as dinoflagellate red tides in the East China Sea, haptophyte red tides in the South China Sea, and pelagophyte brown tides in the Bohai Sea, started to appear during the first decade in the twenty-first century. From the 1970s to now, there have been significant changes to HABs in China. The recorded bloom-forming microalgal species have become more and more diversified, and the size of bloom-forming microalgal species show an apparent trend of minimization. 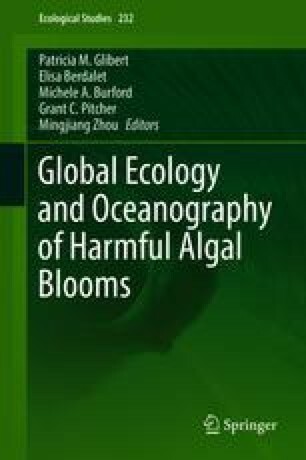 Besides, the emerging blooms have shifted from diatoms to flagellates that tend to be “harmful.” The changes in HABs have led to intensive impacts on marine ecosystems and have challenged the monitoring activities on HABs in China. There are critical requirements for basic research on HAB mechanisms, for practical techniques on HAB observation and prediction, and for technologies and strategies to control HABs.